The weather is changing and we got some rain. I love when it rains. I take my cup of tea with my breakfast outside, sit on the stairs, and enjoy the sound of rain showering the leaves around me. 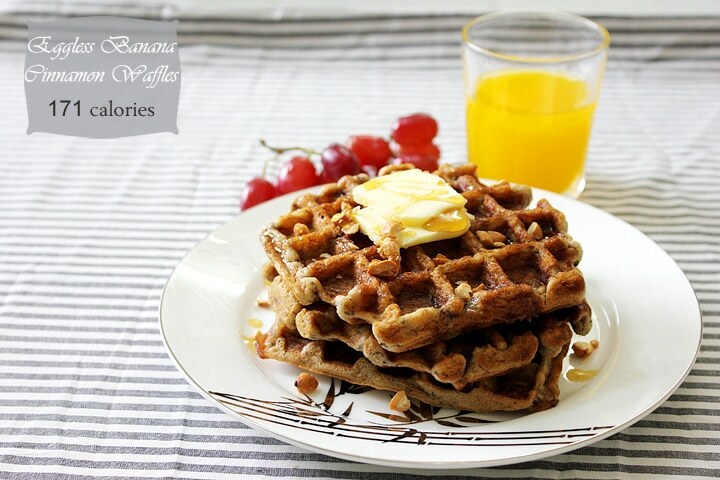 This time I made some Eggless Banana Waffles. I like to keep the calories low, and the portion of the food in control, but there are times when you just want to be a little naughty, and I guess it’s OK! What I’m trying to say, you have the choice to top your waffles with your favorite syrup, maybe honey, or even have it with fruits. But I did the naughty thing and I’m not ashamed of it, and had my waffles with butter on top. The taste was out of this world with the little butter I’ve added. If you wish to be a little naughty (like me) add the butter on only one waffle. I promise that a teaspoon of butter will be enough to satisfy. Makes 4. 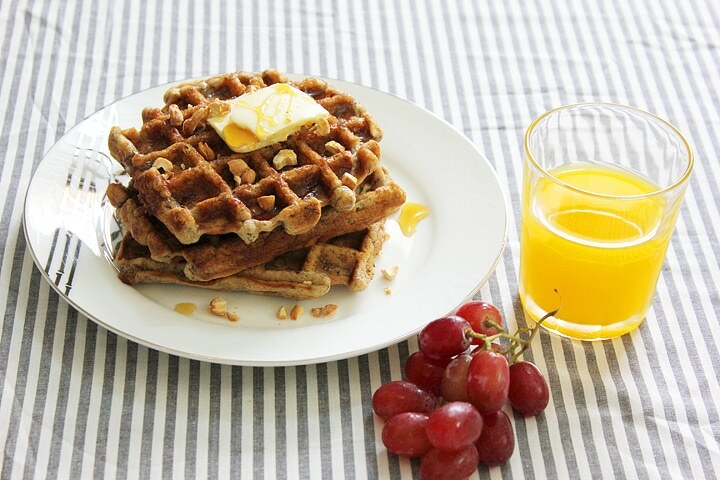 171 calories per waffle. – In a bowl, add the flour, baking powder, baking soda, cinnamon, and salt. Whisk well and keep aside. – In a different bowl, beat banana with oil, sugar, and milk. – Add the flour to the previous mixture and stir gently. Over mixing this batter will make the waffles tough. Do not mind the lumps if there were any. 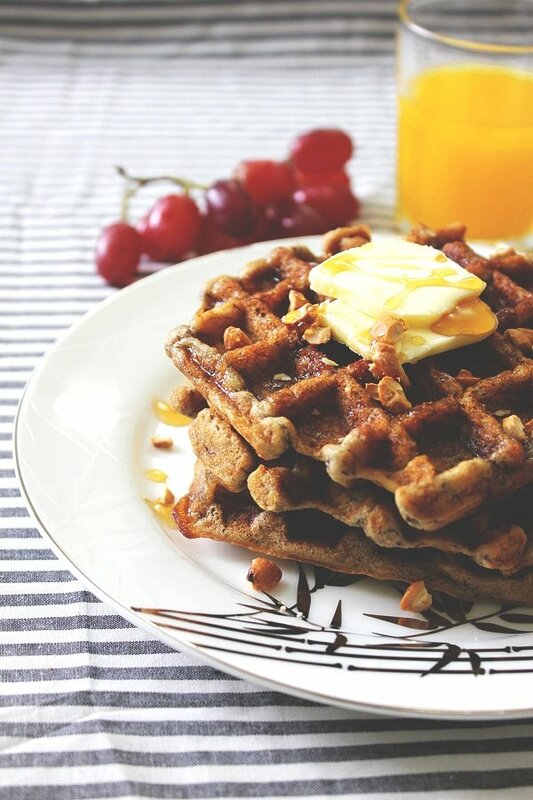 – Preheat waffle maker. 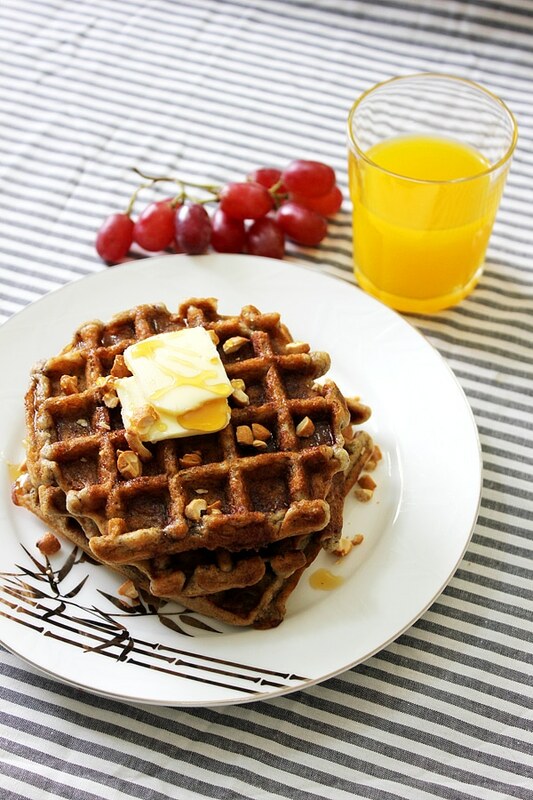 Use a cooking spray, pastry brush or a paper towel to oil both the top and bottom plates of the waffle maker. Do so before making each waffle, to prevent it from sticking. And they look out of this world too! 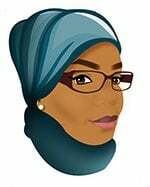 You come up with the tastiest and healthiest recipes, Muna. I hope I won’t get rain this weekend..
Hi. I see baking soda in the ingredient list, but not in the recipe itself. Where and when do you add the 1/4 teaspoon baking soda? Thank you. Hi Whitney, I’ve just edited the recipe. You add the baking soda with the flour and baking powder. I made these for dinner because I had overripe bananas. They were a little limp for my taste but I may have put too much banana in them. I put them in the air fryer for a little bit and they were just right. Everyone loved the taste. Great recipe. I also added flax seed to some of them.